How a Long Code Help to receive a message. Long code is known as virtual mobile number, it is used by businesses to receive SMS messages and voice calls. SMS Long code service is primarily used for lead generation or receiving feedbacks from the customers. Long Code numbers enable businesses to have their own number, rather than short codes which are generally shared across a lot of brands. Every company which wants to avail this service will be provided with a Keyword (Keyword is an unique id of a company on our shared Long code. e.g. if, company name is XYZ Ltd and you took a keyword say XYZL on our long code then every message which starts with AXYZL and a blank space will be forwarded to your panel. 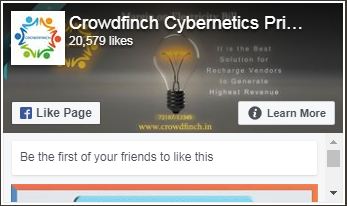 In short Crowdfinch bots recognize the incoming messages on the basis of your company keywords and forward it to the respective company account). All the incoming SMS will display in your online account where online inbox will display sender's mobile number, SMS content and date time of SMS. 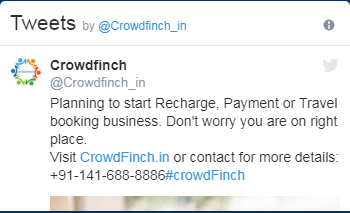 Crowdfinch allows HTTP API for application and web connectivity. All incoming SMS can be pushed to your server for your keyword. Any time you can change your Reply SMS content or API.